Iolani Palace in downtown Honolulu was the official residence and capitol of the last ruling monarchs of the Kingdom of Hawaii — King Kalakaua and his sister Queen Liliuokalani. Located on the Island of Oahu, it is the only royal palace in the United States and is an enduring symbol of Hawaiian independence. The current Iolani Palace was actually the second royal residence on the site. The first, a plantation-style coral block and wood house, also called Iolani Palace, was selected by King Kamehameha III as his palace when he moved the royal residence from Lahaina, on Maui, to Honolulu in 1845. The building was used mainly for government offices since smaller buildings on the grounds served as residences for Hawaii’s monarchs. When King Kalakaua came to the throne in 1874, the coral block building was in disrepair, so he had it razed and commissioned a palace modeled after the grand palaces he had seen while on a trip to Europe. Begun in 1879, Iolani Palace was designed in a unique style referred to as “American Florentine.” This style is characterized by features found in Italian Renaissance architecture, but with the addition of elements characteristic of Hawaiian architecture. Three different architects worked on the building including Thomas J. Baker, Charles J. Wall, and Isaac Moore, but Baker’s designs were the ones that were primarily used for the building. The large palace was built of brick with concrete facing and had four corner towers and two center towers with double roofed, open-sided verandas encircling the building on the first and second floors. Considered one of the finest palaces in the world at the time, it had indoor plumbing, electric lighting, and an early telephone, as well as elaborate decorations and furnishings. The palace was both the monarch’s official residence and the capitol, where the official business of the kingdom took place and dignitaries were received and entertained. 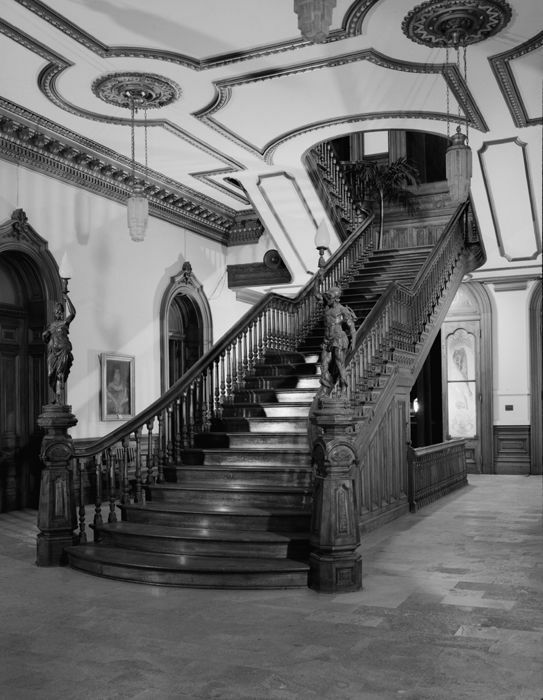 The first floor contained public reception areas such as the State Dining Room, Blue Room, and the Throne Room while the second floor was made up of private suites and rooms used by the monarchs. 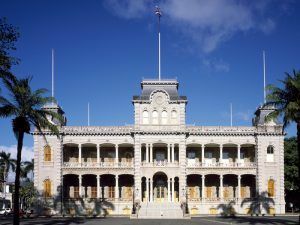 King Kalakaua and Queen Kapiolani moved into their new palace in 1882 and it served as the official residence of the Hawaiian monarch until the overthrow of the Kingdom of Hawaii. King Kalakaua passed away in 1891, and his sister and heir, Liliuokalani became the sovereign ruler of the Hawaiian Kingdom. 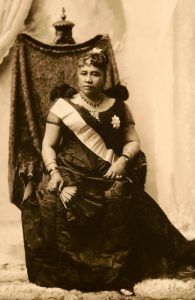 As Queen, Liliuokalani proposed a new Constitution that would return more authority to the monarchy and to the indigenous people of Hawaii. She wanted to replace a Constitution passed in 1887, which had given considerable power to the Euro-American dominated legislature. Her proposal followed on the heels of passage by the U.S. Congress of the Tariff Act of 1890, which ended the favored status of sugar imported from Hawaii, raised import rates on foreign sugar and crippled the Hawaiian sugar industry. Facing economic hardship and potential loss of power, American missionaries, business entrepreneurs, and European and American politicians began to seriously consider the overthrow of the Hawaiian monarchy and annexation of the islands by the United States. If the Hawaiian Islands became a U.S. territory, Hawaiian sugar producers would be provided with the same economic and monetary benefits as those enjoyed by U.S. domestic producers. In 1893, a group of European and American citizens and native-born subjects of the Kingdom of Hawaii staged a coup d’état to overthrow the monarchy. Backed by the U.S. government and with the aid of the U.S. military they were successful and the Queen was forced to yield her authority. While her rule was short, Liliuokalani’s reign was significant in that she served as Hawaii’s first and last queen. 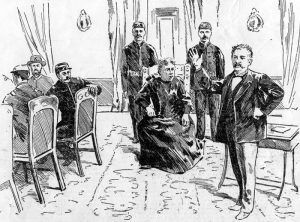 In 1895, Queen Liliuokalani, who had been made to give up her throne and was living at her personal residence, Washington Place, was arrested and tried for purportedly aiding in the short-lived attempt to restore the monarchy, which was known as the “1895 Counter-Revolution in Hawaii.” At her trial, which took place in the Throne Room at Iolani Palace, she denied having any knowledge of the Counter-Revolution but nonetheless was found guilty, fined $5,000 dollars, and sentenced to five years hard labor. 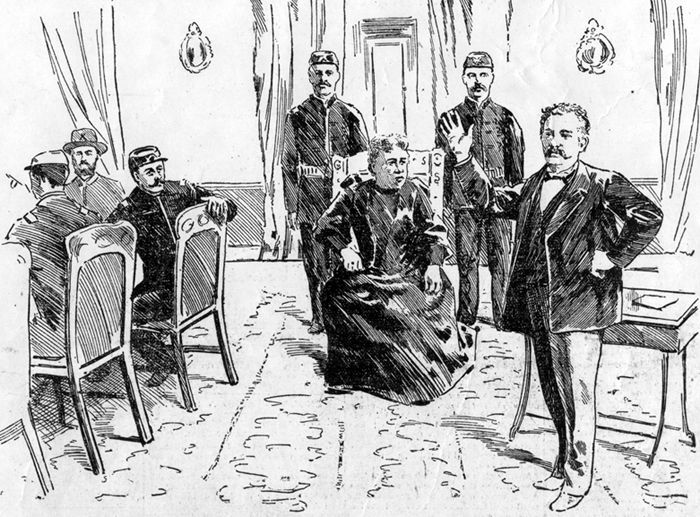 The sentence was commuted and she was placed under house arrest at Iolani Palace. She was then made to live in one bedroom on the second floor and was allowed one lady-in-waiting during the day, but no visitors. After a year she was allowed to return to Washington Place. After the overthrow of the monarchy, Iolani Palace became the Executive Building for the new provisional government which inventoried the building’s contents, returned the private property, and auctioned off whatever furniture that was deemed unsuitable for government use. Iolani Palace was the government headquarters for the Provisional Government (1893-1894), Republic of Hawaii (1894-1898), Territory of Hawaii (1898-1959), and the State of Hawaii. During World War II, it served as the temporary headquarters for the military governor of the islands. In the 1960s after years of neglect, the Palace had fallen into disrepair. In 1969, the State government moved to a newly constructed capitol building adjacent to the Palace grounds and, after 87 years of continuous use, Iolani Palace ceased to be the capitol of the Hawaiian Islands. The Friends of Iolani Palace oversaw an extensive restoration of the building in the 1970s, bringing the palace back to its 19th-century splendor. 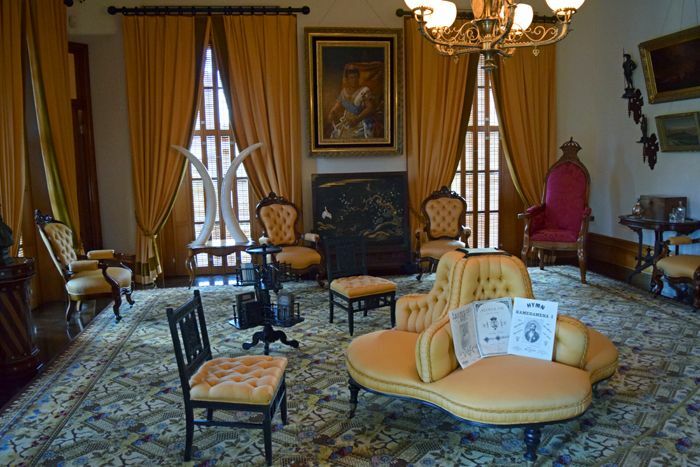 When the restoration was complete in 1978, Iolani Palace was opened to the public as a museum. The grounds around the Palace are thought to have been the site of an ancient heiau (place of worship). Today, they contain lovely native plants as well as several structures including The Coronation Pavilion, built for the 1883 coronation of King Kalakaua and Queen Kapiolani; The Royal Tomb built in 1825 and used for 40 years to house the remains of Hawaii’s monarchs, consorts, and important chiefs; The Kanaina (Old Archive) Building, built in 1906 as the first building in the U.S. intended solely for the custody and preservation of public archive materials; and the Iolani Barracks, completed in 1871 to house the Royal Guard. The barracks have been used at various times as temporary shelter for refugees of the 1899 Chinatown fire, a service club, a headquarters for the National Guard of Hawaii, a government office building, and a storage facility. Today, the first and second floors of the palace are fully restored and open to the public. The Grand Hall, State Dining Room, reception rooms, and the Throne Room are on the first floor and the Grand Hall features a large wood staircase and portraits of the 10 Hawaiian kings and queens. 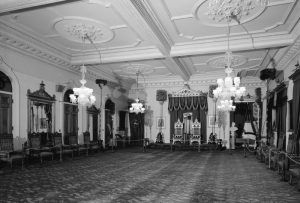 The royal family used the Throne Room for formal events and diplomatic receptions and it was also the site of Queen Liliuokalani’s trial. On the second floor are the King’s and Queen’s suites, the Music Room, and the room where Queen Liliuokalani stayed while under house arrest. Visitors also have access to the basement gallery exhibits, with artifacts such as the Hawaiian crown jewels, historic photographs, and an exhibit about the restoration project as well as the restored Kitchen and Chamberlain’s Office. Iolani Palace was designated a National Historic Landmark in December 1962 and added to the National Register of Historic Places in October 1966. The palace museum is located at 364 South King Street, in Honolulu, Hawaii.